Cannabis tech company, RotoGro World Wide (ASX:RGI), has penned a binding letter of intent (LOI) with organic perishable foods grower, Gibio Inc. The LOI enables RGI to subscribe for up to 49 per cent equity participation in Gibio and includes a 20-year exclusive manufacturing, technology and service contract for all rotational garden systems required for Gibio’s perishable food production facilities. Gibio is located and incorporated in St Apolinaire, Quebec, Canada. Its mission is to develop environmentally responsible local farms which defy traditional growing seasons, enabling sustainable, socially responsible and traceable organic produce all year round. 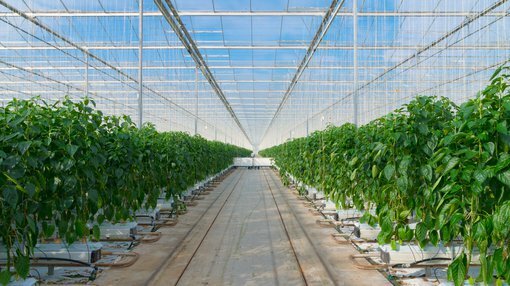 This LOI is the culmination of 12 months of collaboration — Gibio and RGI have been working together to trial, test and customise the RotoGro Rotary Hydroponic Garden System with Gibio’s growing know-how and bespoke substrate technology. Building, owning and operating perishable farms led by the tech of both companies will ensure produce is grown with maximum efficiency, minimal water, and without pesticides or herbicides. Gibio will proceed with the first 80,000 square foot flagship facility, aiming to roll out an additional 10 facilities over the next five years. RGI’s equity interest in Gibio’s global growing facilities provides considerable depth to its second vertical of growing management and growing facility ownership. Small-scale indoor farms have demonstrated the benefits of compact vertical farming for many years. In response to increasing real estate prices, energy and transportation costs, scarcity of fertile land, and the limitations of seasonal growing, the agricultural community has made a concerted effort to utilise urban spaces for the efficient growing of perishable foods. Research has shown indoor vertical farming systems have the capacity to produce up to 350 times the volume of produce compared with a conventional farm occupying the same footprint, while using significantly less water and providing consistent quality year-round. These hermetically sealed, climate-controlled indoor growing facilities provide shelter from the elements, weeds, insects and pests which eliminates the need for harmful herbicides and pesticides, while at the same time providing safe, dependable and nutritious food. Two companies leading the charge for sustainable indoor vertical farming are New Jersey-based AeroFarms LLC and Silicon Valley-based Plenty Unlimited Inc. — Gibio aspires to the achievements of both. AeroFarms recently completed construction of its ninth indoor vertical farm — a state-of-the-art 69,000 square foot flagship production facility in Newark, New Jersey. AeroFarms’ original investors, Goldman Sachs and Prudential Financial, have been recently joined by the Ikea Group and Meraas (the investment vehicle of Sheikh Mohammed bin Rashid). Plenty, on the other hand, recently opened its first 50,000 square foot indoor vertical farming operation in California and is currently opening its second indoor vertical farming facility in the greater Seattle area, Washington. This second facility occupies 100,000 square feet of growing area and has the potential to cultivate enough produce to feed some 180,000 Americans annually. Plenty has been well-supported with an investor base that includes SoftBank Vision, DCM Ventures, Bezos Expeditions (Amazon’s Jeff Bezos) and Innovation Endeavors (Google’s Eric Schmidt). “We look forward to moving to the design and construction phase of our first 80,000 square foot flagship facility after which we aim to roll out a further 10 facilities over the next five years,” added Poirier. This latest development comes hot on the heels of more good news for RGI. Last week, the company revealed it is acquiring the fertigation assets, intellectual property, ongoing contacts, key personnel, industry know-how and business goodwill of Hanson’s Water Treatment Inc. This acquisition gives RGI leverage to Hanson’s specialised fertigation business line for water treatment and nutrient management in the viticulture, perishable foods and legalised cannabis space.